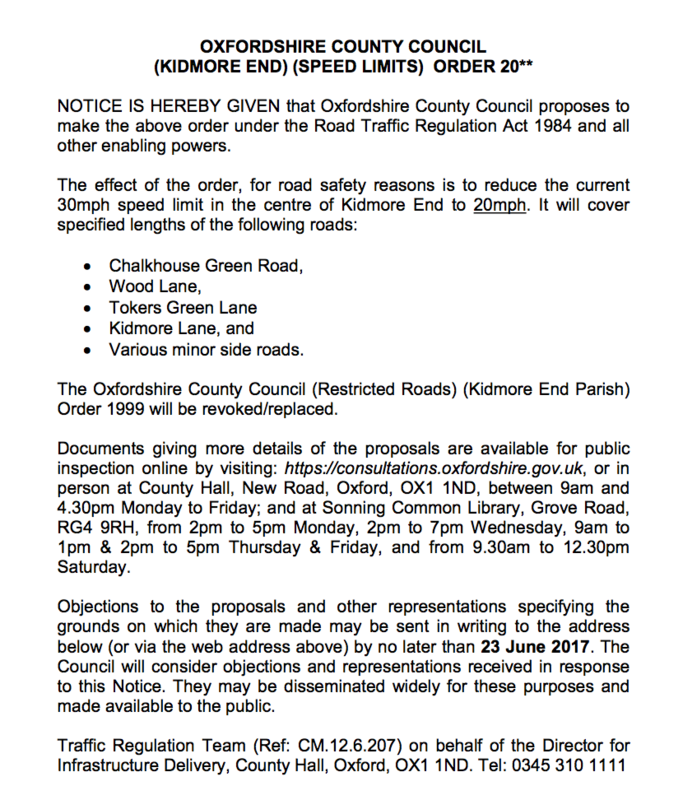 Oxfordshire County Council is seeking your views on the proposals to – at the request of and in conjunction with the Parish Council – introduce a 20mph speed limit on the roads within the centre of the village. 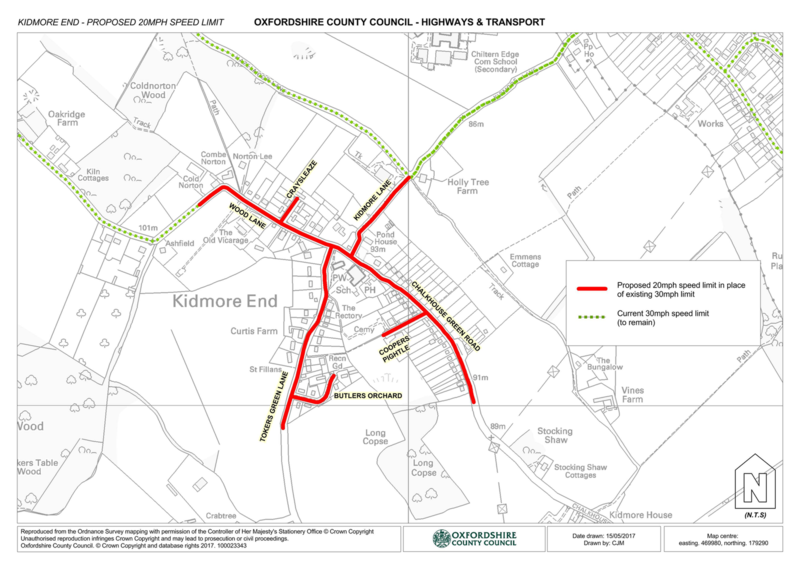 Current Traffic Regulation Order (to be revoked). As detailed on the notice, any objections or other representations on the proposal should be submitted by Friday 23rd June 2017. 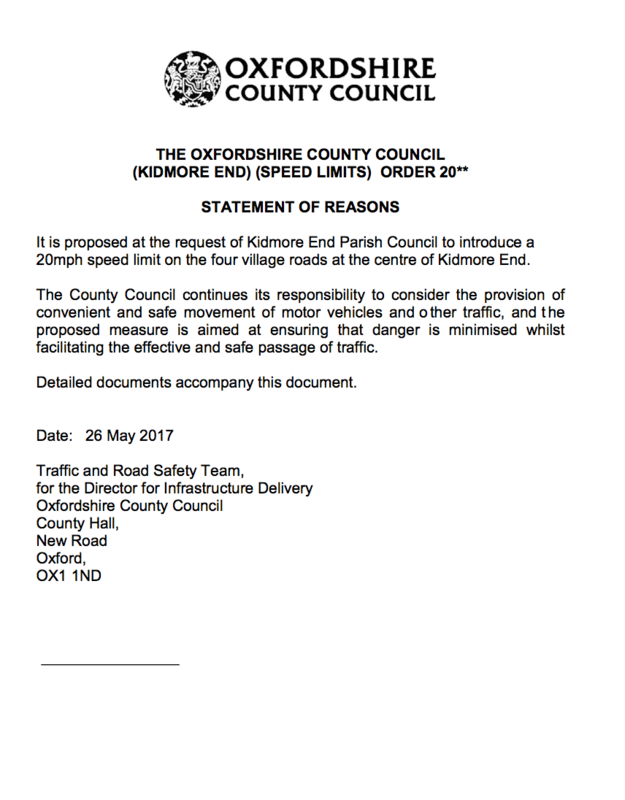 The proposed Traffic Regulation Order has been advertised in the Henley Standard on Friday 26th May 2017, and is also available on the Council’s consultation pages. 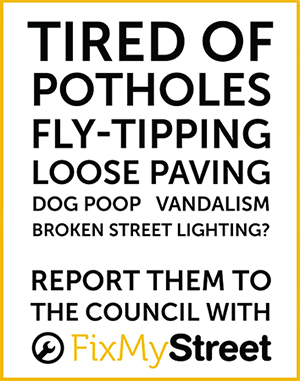 To respond to this Consultation, please visit the Council’s consultation pages.